Our secret lies in the uncommon balance between premier ingredients and consistency of process. Our success lies in our dedication to distilling exceptional New Jersey corn v﻿od﻿ka. We choose to start with 100% New Jersey corn, whose high-starch yield makes it the perfect grain for making perfectly smooth small-batch vodka. We work directly with our local farmers to ensure that the quality reflects our own expectations from the start. 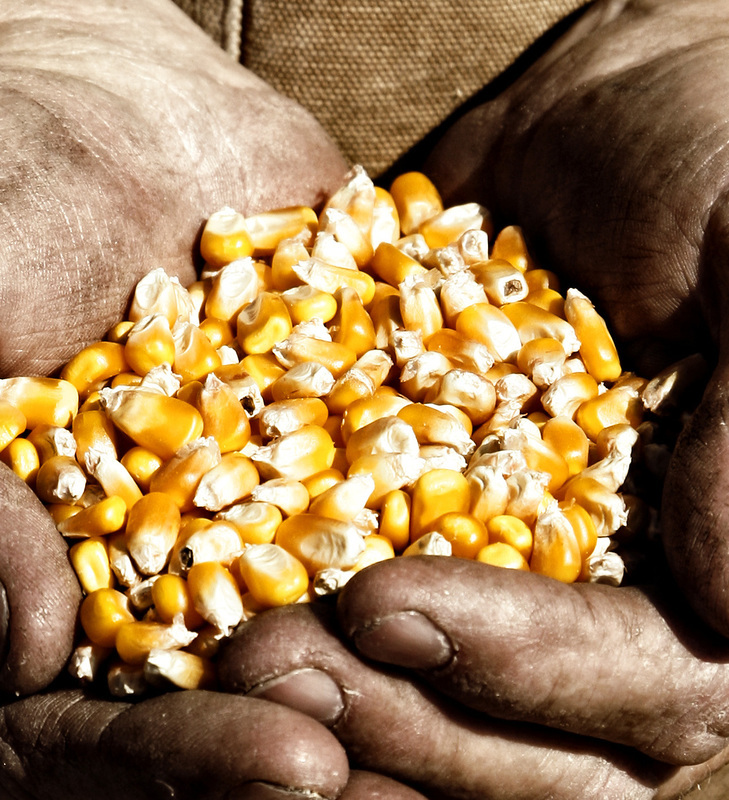 We buy the corn already cracked, which improves our efficiency in the first steps of our process. My grandfather was a corn farmer from the Genesee Valley in New York State, and I know what hard work goes into producing these grains. 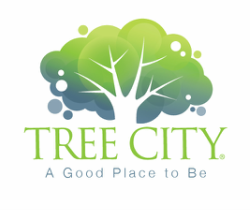 It’s why Tree City will always support our local agriculture community. Our sole source of corn is currently a farm not far from our Heathermeade Distillery. The first real step is to grind the corn into smaller pieces using an adjustable grain mill. We mill the cracked corn an additional three times to ensure that we have the perfect size kernels that maximize starch release during cooking. The corn is then put into a cooking kettle and the temperature is increased until all of the starch is released and can easily be converted to sugar. It is cooked for about 2 hours and continuously stirred until it cools to the best temperature for fermentation. We consider this to be one of the most critical steps in the process - not too fast and not too slow. When done properly, all of the sugar converts into desirable sweet mash that we distill into high-proof alcohol. Each batch of corn-starch mash is closely watched and tracked. 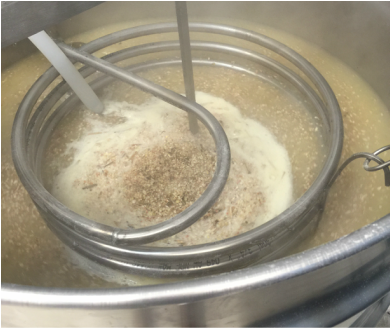 The cleaner the mash and the smoother the fermentation process the purer the final product. We ferment many gallons of sweet mash each week. We then pour the mash into our stills, and heat it slowly until the alcohol begins to vaporize. 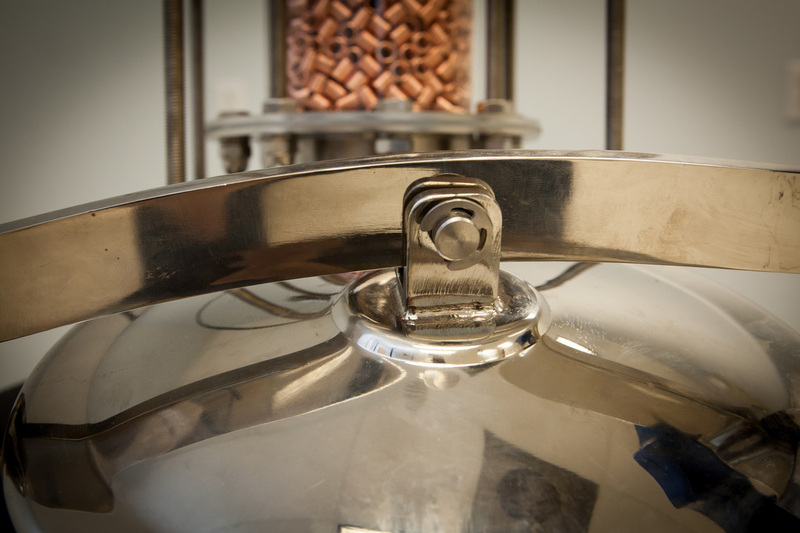 Our specially designed stills are constructed to help us throughout the delicate process and create a clean and pure alcohol. As the vapor rises through the column the various alcohols, both desirable and undesirable, stack and are refluxed allowing for a clearer separation. The alcohol is then collected at the top of the still and condensed back into liquid form in the condenser. The first distillation converts the 10% alcohol mash into 90% alcohol or 180 proof spirits. Everything is collected from the heads to deep into the tails (this is a whole other story which you will have to ask about when you visit us), put aside and prepared for the final run called the spirit run. 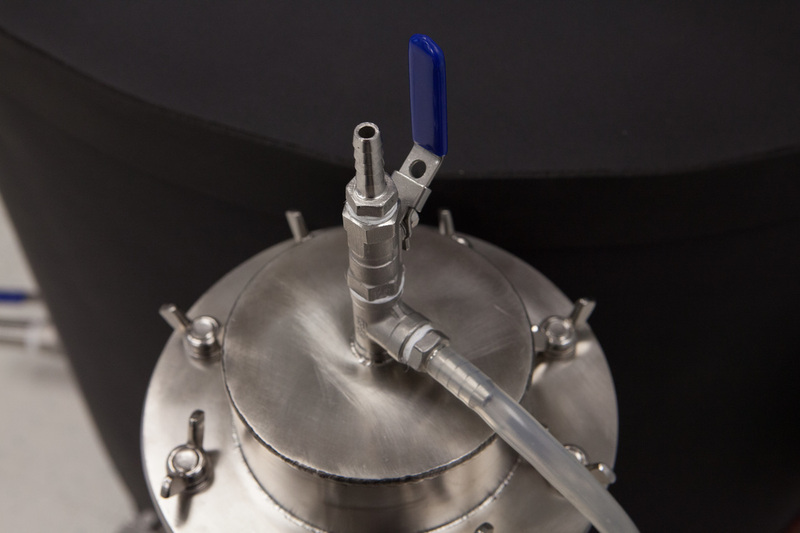 In the spirit run, we run the previously collected alcohol through a reflux column slowly and deliberately to finely separate the various alcohols and water left over from the stripping run. This raises the alcohol content to a minimum of 95% purity or 190 proof spirits. This is accomplished by separating the run into “cuts” which are the Foreshots (nasties and immediately discarded), Head (sweet and heavy hangover), Heart (our sweet spot), Tails (smells like wet cardboard with a flat taste). 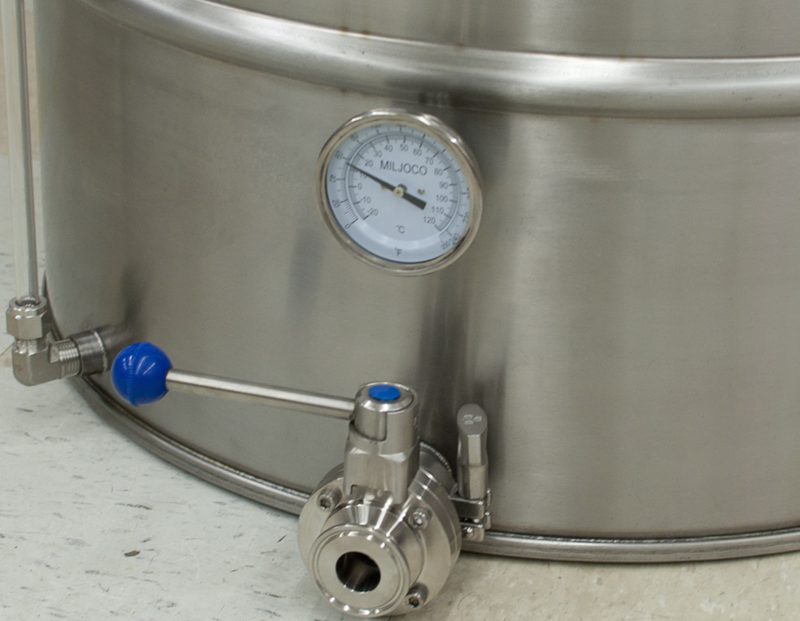 We have to constantly monitor the still to make the call on when to collect the best of the best; removing the undesirable alcohols on both the low boiling point alcohols and the high boiling alcohols. This involves a lot of tasting (the fun part) and smelling (not always so fun) and monitoring (good for all of us) in order to capture a flawless and tasteful vodka that we can be proud of. We want the final small-batch product that you find in our unique, electric lime-green Tree City Vodka bottles to be consistent every time, including its alcohol content and purity. To accomplish this we bring it to 40% alcohol by volume (80 proof) through a process called “proofing.” The alcohol content is brought to the “proof”, by combining it with clean water that has gone through a reverse osmosis process to remove all impurities. Finally, we pass the vodka through a soft charcoal filter in a penultimate step called polishing. The result is the Tree City Vodka that everyone has come to love (if you haven’t tried it…we hope you will love it too).